With the Fall Season right around the corner all I can think about is denim. 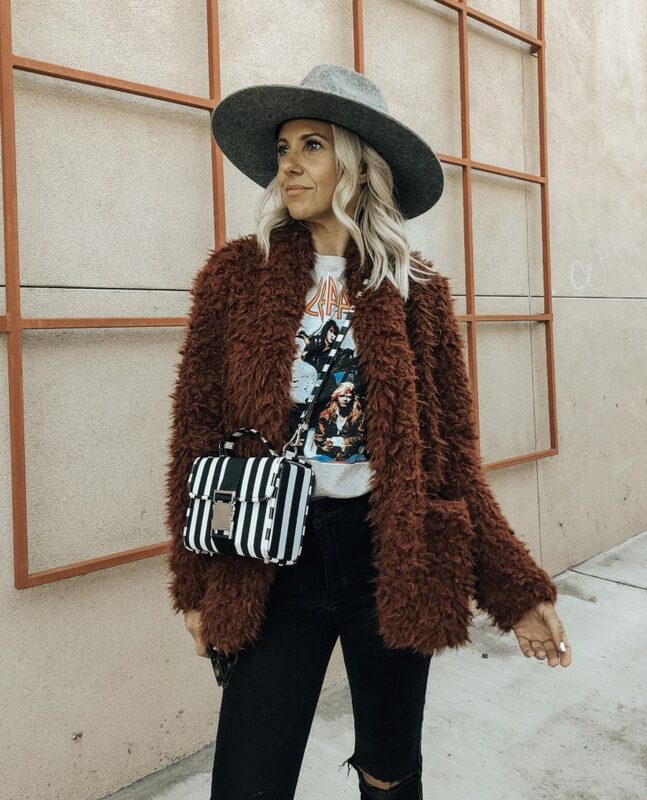 I’ve been on the hunt for tons of FUN new styles that I will be sharing with you through out the season. 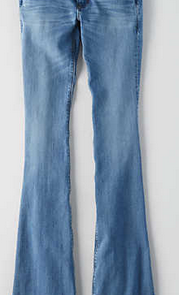 But first I wanted to start with my 70’s style flare denim that I found at Abercrombie & Fitch. 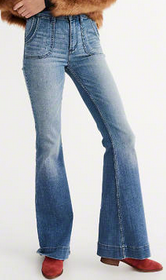 When it comes to flare denim the most important thing is the length. Most denim these days comes in different length options but I definitely recommend getting them professionally tailored to ensure they perfectly hit the floor. The raw edge is also a big trend right now so you could always cut them yourself. Either way make sure you wash them first in case they shrink a little bit. When getting them tailored or cut make sure you try them on with the shoes you plan on wearing with them to ensure the proper length. I love pairing flare jeans with a fun top to even out the look. Here I’ve paired my flares with two different style tops. The first is a floral off the shoulder top with ruffle detail on the sleeves and the second is a flowy tank top with an uneven hem. I found both of these styles at Charlotte Russe and they have several similar affordable options there as well. As usual I paired them with my Stella & Dot jewels and a crossbody bag. 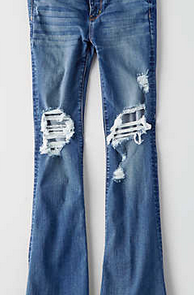 What do you think of Flare denim and what do you pair yours with? 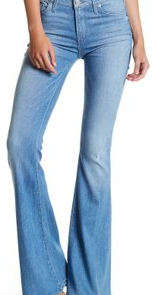 I’ve linked a few great flare jean styles below. Please let me know if you have any questions.